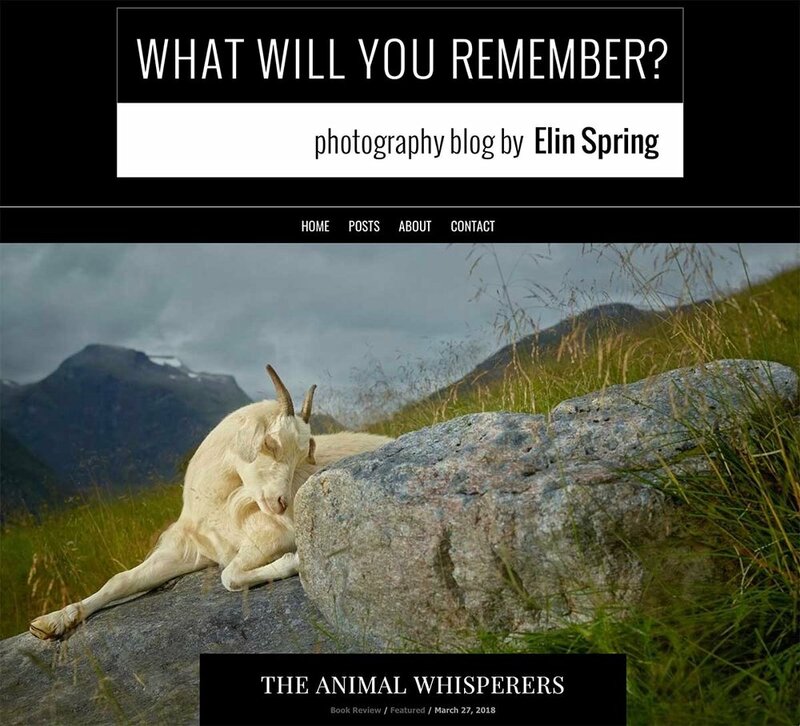 "Eating Buddy, Lake Myvatn, Iceland" along with nine other images from three projects Divine Animals: The Bovidae, Out to Pasture, and The Unchosen Ones are featured on the PDN Photo of the Day to promote the solo exhibition at Klompching Gallery in New York through June 30, 2018. Thank you for the exposure, PDN and wonderful selection of work, Darren Ching! 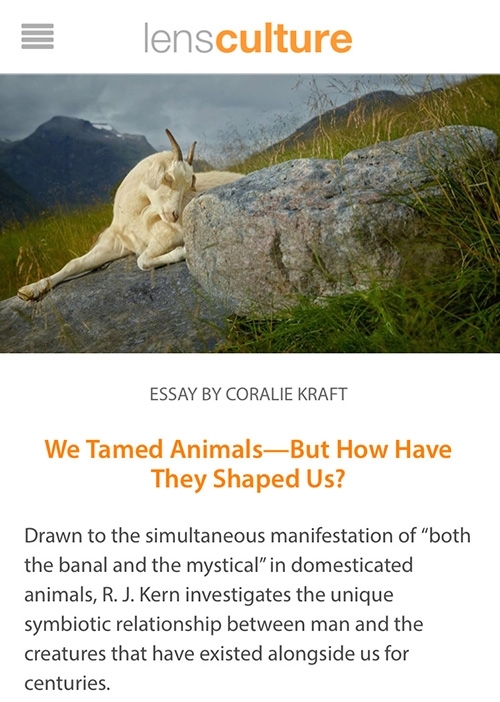 Writes Coralie Kraft: "Unlike many wildlife photographers who focus on the devastating human impact on the natural world, Kern’s work offers a different, but no less significant, thesis: how have humans shaped and molded these creatures over centuries, and how have these animals impacted our development in turn? " Aline Smithson features "The Unchosen Ones" book and project along with an interview on April 27, 2018. In the article, I share tips on navigating the fine art waters, lessons I’ve learned, perspectives into my working process, what I learned from my subjects, why I decided to self-publish, what a perfect day looks like and more! 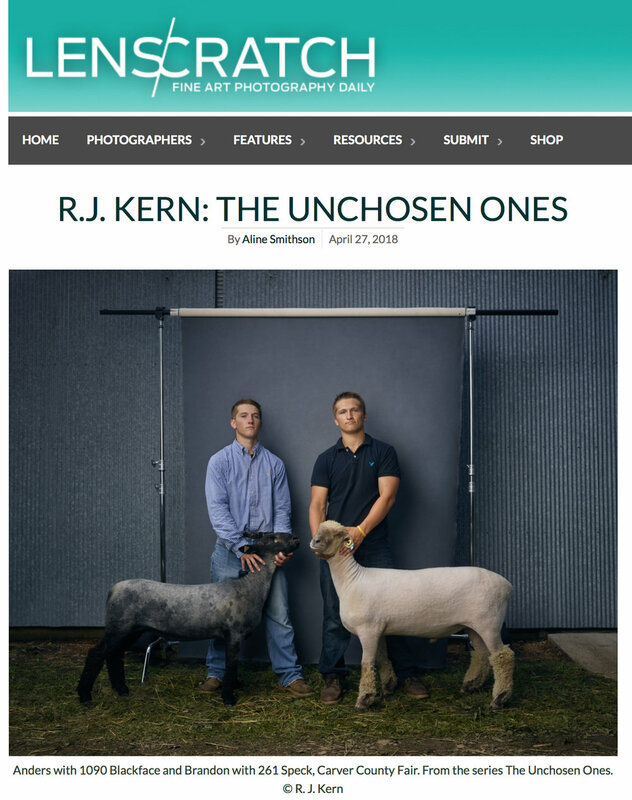 Aline Smithson reviews reviews "The Unchosen Ones" book along with an interview with R. J. Kern. The Museum of Fine Arts in Houston acquired the first COLLECTOR'S EDITION of The Unchosen Ones (ed 20) in pre-sale this week. 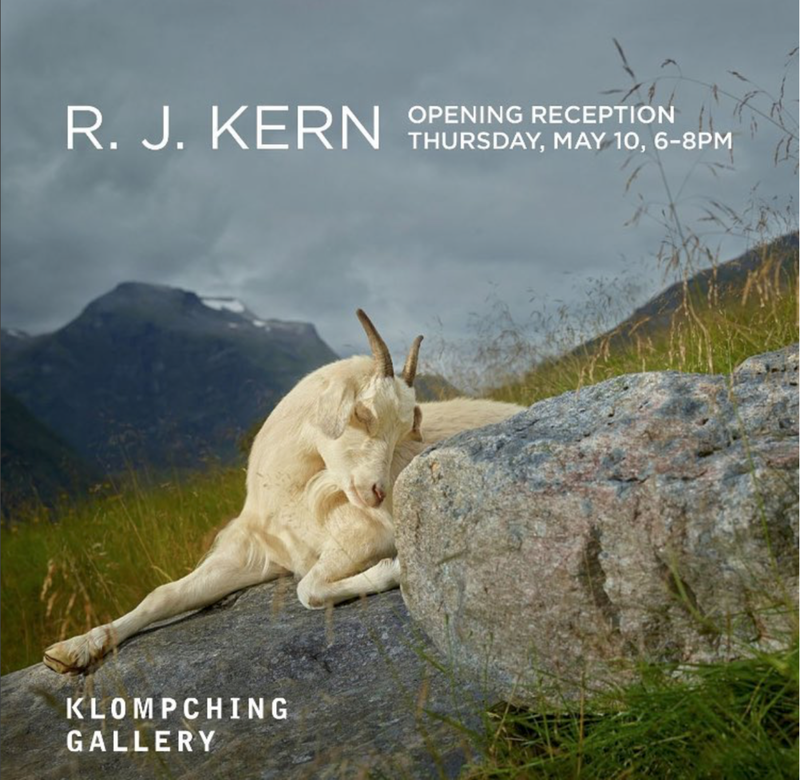 The project features photographs by R. J. Kern and a cloth clamshell box and print folio created in collaboration with Keith Taylor in Minneapolis, MN. The Artist Book Edition includes essays by independent curator Alison Nordström, PhD and Joe Scapanski, Minnesota State Fair Board of Managers. The pre-sale began on April 15 and books will ship May 2018 in conjunction with a solo exhibition at Klompching Gallery in New York from May 9 - June 30, 2018. 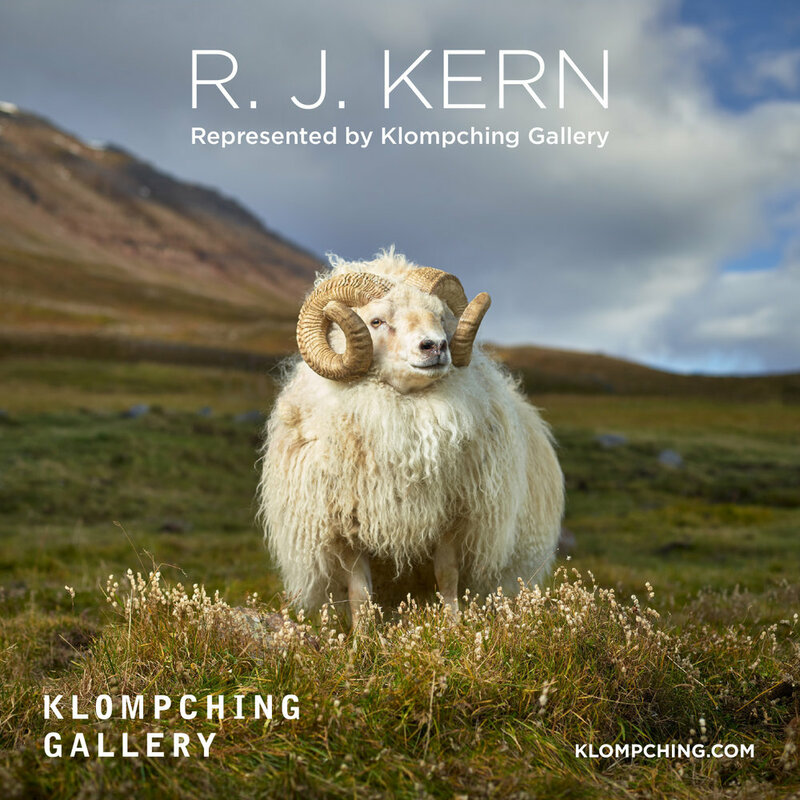 This is the second acquisition of work created R. J. Kern by the Museum of Fine Arts in Houston. 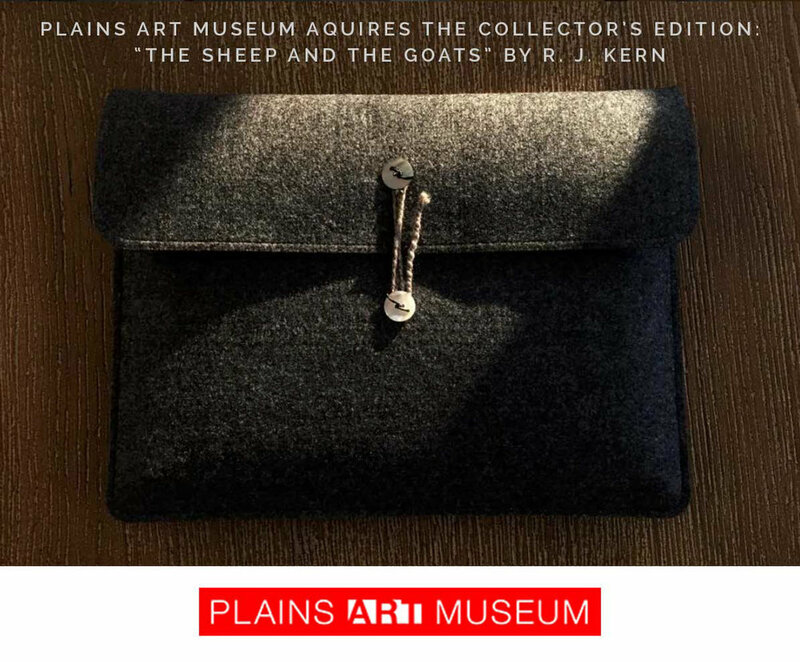 The first included the COLLECTOR'S EDITION of The Sheep at the Goats in 2017. "The Unchosen Ones" book received an Award of Excellence from Communication Arts magazine and will be featured in the 2018 Photo Annual issue on newsstands June 2018. In the editorial and advertising photography world, this is HUGE! I remember thumbing through back issues of Communication Arts in high school art classes looking for creative inspiration. I'm honored and humbled to have my work featured along of some of the best photographers in the world! The editor’s at PDN selected 30 photographers they consider to be the strongest new talent and shared them in their PDN’s 30 2018: New and Emerging Photographers to Watch. I’m thrilled to be apart of this amazing group of photographers. Be sure to read the advice the photographers offer (a must read with great insight). 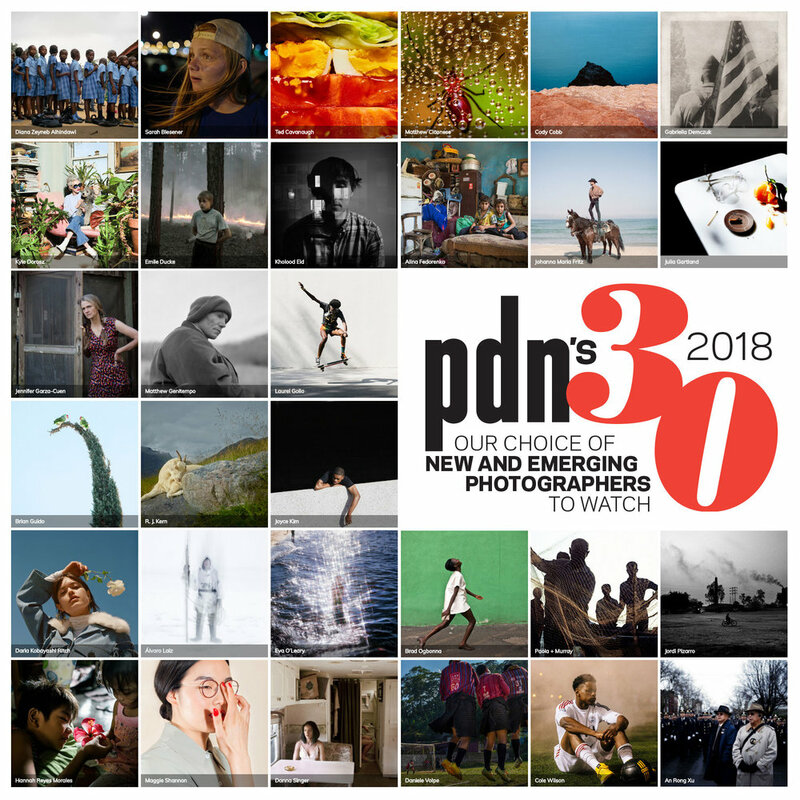 The PDN’s 30 2018 photographers come from 10 countries and were selected from over 300 nominations by photo editors, curators, educators, publishers, and critics around the world. Editors then ranked each anonymous portfolio of images, searching for a critical eye and a unique voice paired with compelling imagery. While this exposure was never a career goal, it will always remain on my CV. 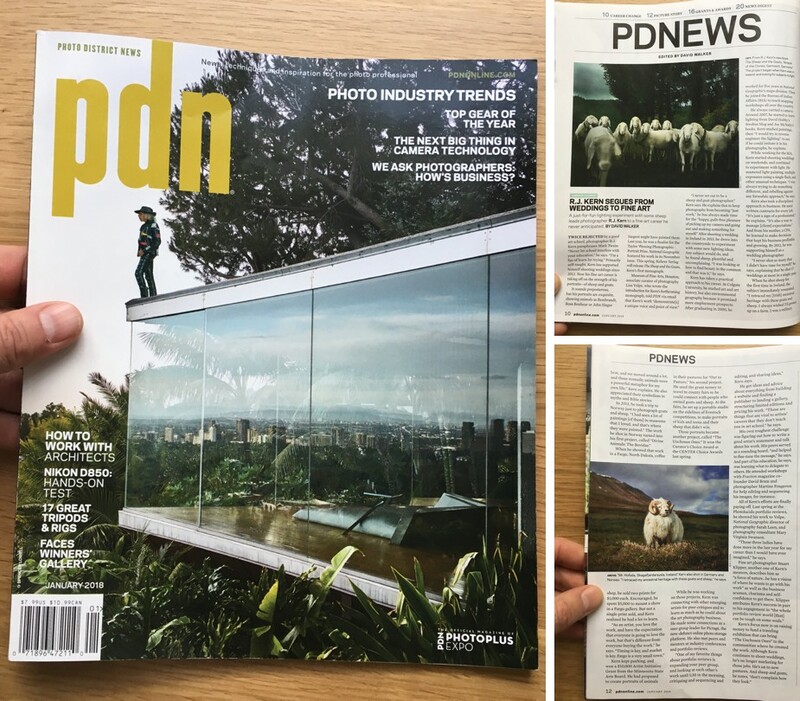 Thank you PDN editors including David Walker! The editors of Photo District News publishes their choice of 30 "new and emerging photographs to watch" and featured them in the April 2018 issue of PDN. Special thanks to the kind words, support, and guidance by Lisa Volpe, Assistant Curator at the Museum of Fine Arts, Houston, Sarah Leen at National Geographic, Mary Virginia Swanson, Debra and Darren Klomp Ching at the Klompching Gallery, Paula Tongarelli at the Griffin Museum of Photography, Alexa Becker at Kehrer Verlag, and Laura Pressley at CENTER. David Walker shares my journey in the January 2018 issue of PDN in his article, "R. J. Kern Segues from Weddings to Fine Art." He highlights the importance of mentors such as David Hobby, Joe McNally, Stuart Klipper, David Bram, and Martine Fougeron. Thank you, Mr. Walker! Featured in Photo District News, January 2018. Featured photographs include "Attack of the Clones" created in Germany and "Mr. Hofsos" created in Iceland. He writes, "First-place recipient of the Curator’s Choice Award, U.S. photographer R.J. Kern, offers a glimpse into a small subset of society in his series The Unchosen Ones, featuring the children and young adults from farming families who participate in animal contests at Minnesota county fairs, showing off their prized sheep and goats. 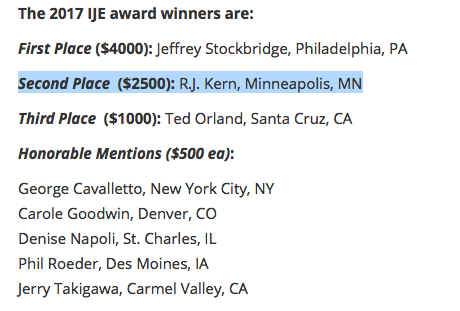 Kern’s subjects are not the winners at these fairs. They are the losers, whose animals, which have names like Annabell, Hootie, and Doolittle, won no ribbons. In this context, the images seem to take on a deeper resonance, perhaps reflecting the dwindling lifeways of small, family-owned farms in the age of industrial agriculture, a way of life where strong bonds between children and animals may still be of some value. Although a few of Kern’s subjects appear disheartened, there is a sense of pride that comes through several portraits, which transcend categories such as “winner” and “loser.” Kern’s photographs reflect the subjects’ essential characters, deeming them all worthy of attention." 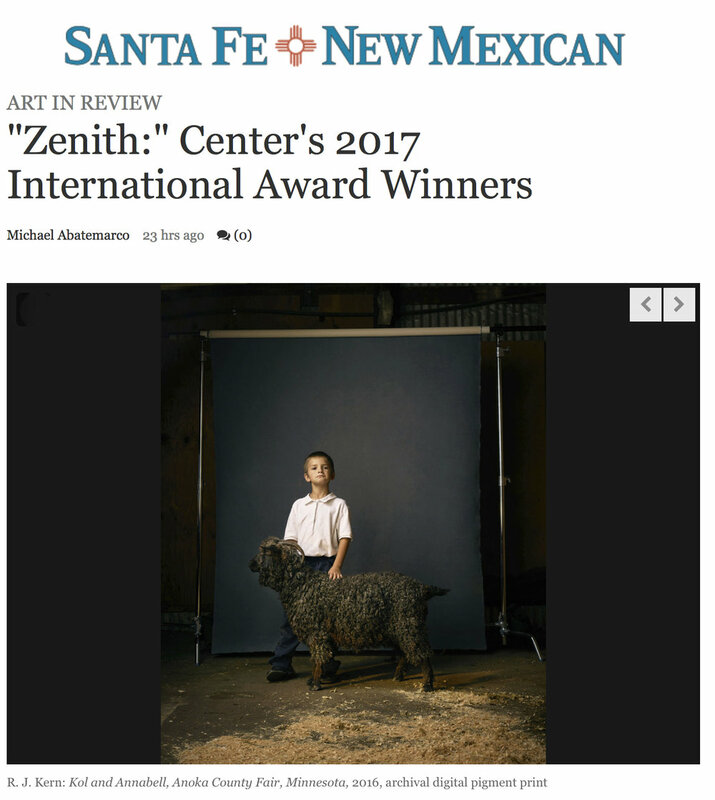 I've always enjoyed reading Lenscratch and appreciate her effort to showcase emerging photographer's work. We met at Photolucida and CLICK120 last month and I always wish I had more time with her. She's also a talented photographer, too. I enjoy her work on my wall at the studio. 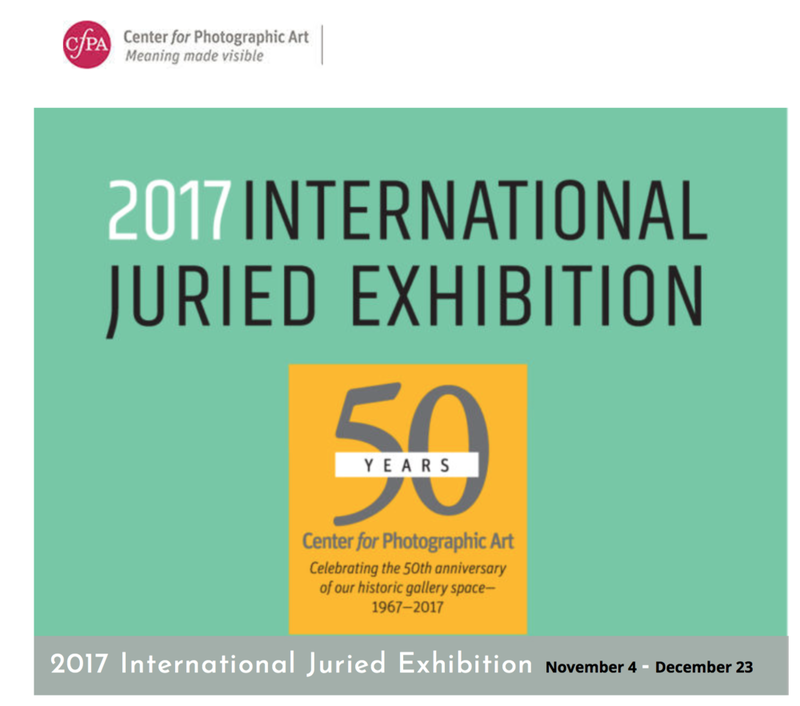 Selected from over 1300 entries submitted from around the world, our juror, Philip Brookman, Consulting Curator at the National Gallery of Art in Washington, DC selected forty-five images for the gallery exhibition at the Center for Photographic Art gallery in Carmel, CA through December 23, 2017. I was delighted to here Kenzi and Hootie, Anoka County Fair 2016 won SECOND PLACE ($2500). Bill Knight reviews highlights from the Taylor Wessing Photographic Portrait Prize exhibited at the National Portrait Gallery, London (November 16, 2017 to February 8, 2018) and published work from The Unchosen Ones project. The folks at the National Portrait Gallery Publications did a great job designing and printing Taylor Wessig catalogue, or as we say it in the US, "catalog!" Excited to make the trip across the pond to London and see the show with my brother in February 2018! "Anna and Helen, Blue Earth County Fair, Minnesota, 2016" published in the National Portrait Gallery catalogue.